This sponsored post came at a great time because we were taking on a prayer challenge ourselves, and adding in kids just made more sense. The struggle of praying on time while one child wants to go to the bathroom really bad and the other wants food. The struggle of maintaining khushoo during salah while one kid hangs onto your hijab and the other is trying to pull him/her away (in an attempt to help mama). The struggle of forgetting what rak’ah you are on while the kids start crying in a form of chorus. The struggle of connecting with Allah while being connected with your surroundings as the kids do all kinds of dangerous things around the house. The struggle is never ending and mama, you’re not alone! But the struggle never has to be permanent. We can always support each other and help in finding solutions together. Children knowing the importance of salah and how to pray with you, can make a huge difference in having that harmony at home during salah time (most days at least). Most mothers of small kids struggle with khushoo during salah because they are surrounded with kids 24/7. We can’t run away from kids for that peaceful time with Allah and we can’t even concentrate when we are amidst hyper active/hungry/cranky kids. So the solution that works most days is to include them in our salah time. 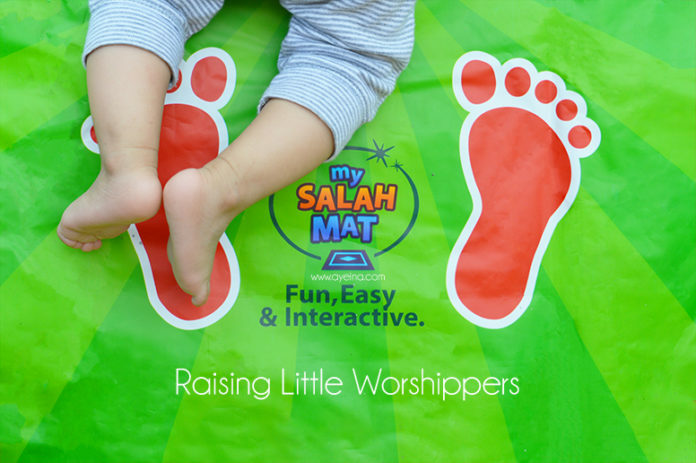 So here’s how we can help our children understand why salah is so important and how to pray with us peacefully. (Mothers of babies – just hang in there, it gets easier bi’idhnillah). Nothing takes precedence over this act in the methods of teaching. This has always been a human mindset and thus Allaah always sent guides in the form of prophets, towards His creation for the guidance. Allaah even commanded us to obey and follow the footsteps of our beloved Prophet Muhammad s.a.w. Similarly as kids are born with the innate nature to imitate what they see, parents become their first choice. And later those acts become stronger as they develop the urge to please their authorities. Being a role model is always rewarding and that’s what makes our kids our sadaqah jariyah. So do more of what you want to teach them and you won’t feel the need to scream and yell to make them do it. And thus the little persuasion in the times of laziness will be fruitful. Now I know, that’s a tough one for your own khushoo. But fathers can do this while taking the little ones and the boys along with themselves to the masjid (mothers can try to go for jummah prayer in the near masjid, if possible). And mothers can start preparing for their salah with the kids at home as soon they hear the adhaan. This helps convey the message in the most subtle and effective way. If the kid is still crying, you may carry the child while praying or wrap them with you. 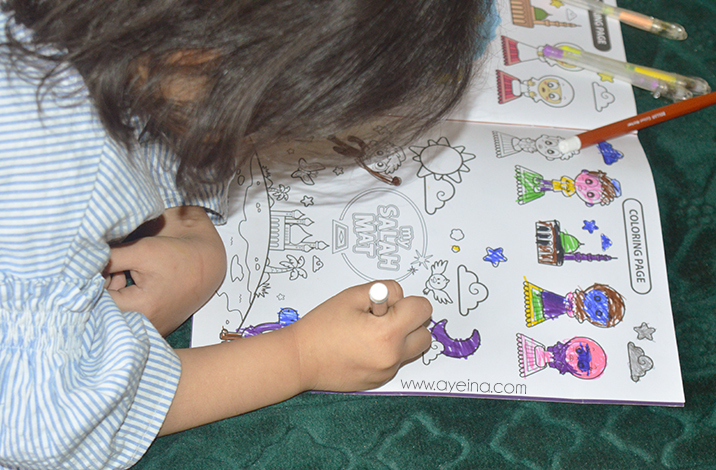 You know what’s best about raising your eldest child in the light of Islam? It’s their passion to teach their younger siblings all the things they have been taught. And this fitra is a part of each child – competing in all things good! So utilize this natural disposition to your advantage. 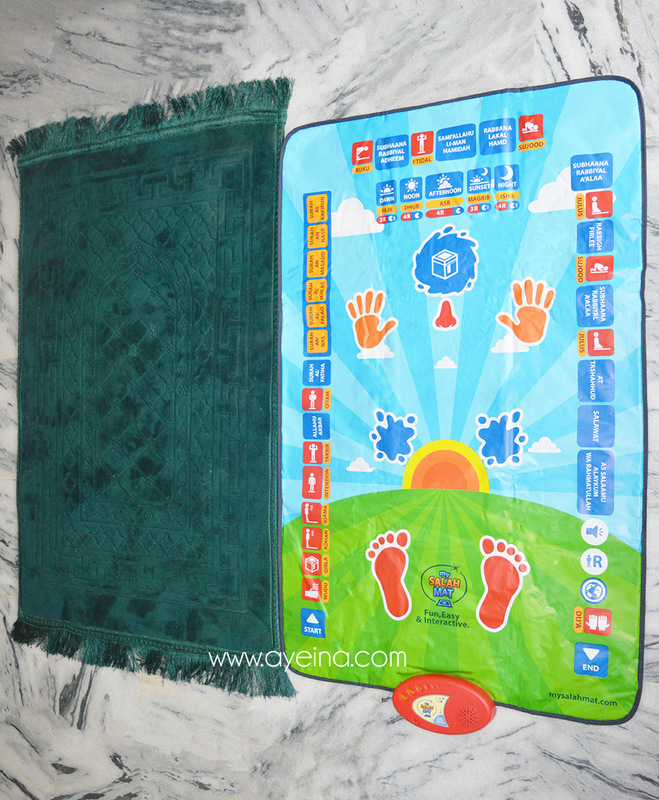 As we are also teaching kids Arabic step by step, the language feature in my salah mat came in handy. It is translated to 7 different languages – English, Malaysian, Urdu, Indonesian, French, Turkish and of course, Arabic! When we got it, the younger two kids (3 year old and an almost 4 year old) stood together for prayer with their hands folded, till the audio player recited surah naas. The concentration with which these two stood was amazing (although these two are extremely hyper active 24/7 and can’t stop giggling when they are with each other). Knowing a purpose behind one’s act, gives meaning to a cause and strengthen its foundation. Similarly, knowing that this worship is solely for the pleasure of Allah, is a great way to build the right foundation of salah. When kids fall in love with Allah, teaching them what He wants from us becomes slightly easier. It’s the love of the Prophet Muhammad s.a.w. in the heart of every Muslim that urge him/her to follow his footsteps. Parents can help their children in developing this love by narrating them the seerah of the Prophet Muhammad s.a.w. through stories, their actions. etc, realizing that it’s the essence of our deen. Effective results come from the teaching that are taught with love and ease. No wonder how this ease and love from Rasoolullah s.a.w. shaped Anas Bin Malik r.a., Zaid Bin Haartha r.a. and his own children into such remarkable companions and obedient servants of Allah. Taking aid from the new advancements and technologies is another wise decision to help ourselves to teach our kids deen. Especially when this era is stuffed with endless adornments and distractions. 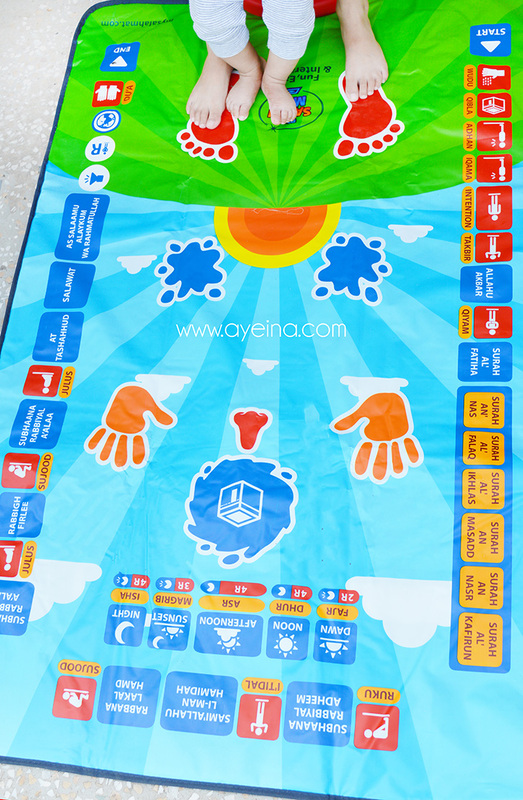 My Salah Mat is an Educational Interactive Prayer Mat which can teach about the different times of salah, and the various bodily movements and positions, and what to say during them. In order to make the learning process easy, My Salah Mat will guide the user through two rakat of salah using a simple to understand format. It’s waterproof and has a fire resistant material with adjustable volume. For example, when someone places both feet on the feet location on the prayer mat, the sensors in My Salah Mat recognise the pressure, and the first action of the Muslim prayer is heard (Allahu Akbar), followed by Surah Fatiha. Then when the knees, hands, and head touch the relevant locations on the mat, the sound related to that part of the prayer is heard. As Fudayl ibn Iyyad (a scholar from the past) said: “Dua is the weapon of the believer”. It is a direct link to our Rabb with no barriers. We know He’s All-Hearing and All-Powerful and thus have all the ability to do as He wills. Thus parents shall never let go of this weapon to guard and guide themselves and their loved ones.